For residents of Beartown, nothing is more important than hockey. It is a hockey town and this year the Junior team is headed to the championship. From the first few paragraphs, though, readers are aware that things are not right and someone, a few days after the championship game, will be staring into the barrel of gun. 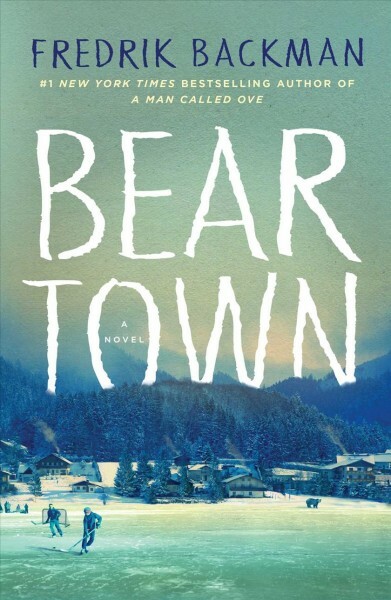 Between those hopeful days leading up to the big game to the tragedy that will follow it, Beartown delves into the characters and deepest desires of Beartown residents. No one will be prepared for how it all ends. From the author of A Man Called Ove, comes a very different sort of story. Ove was a cantankerous but ultimately loveable character, as was Britt-Marie and little Elsa. Beartown is home to some less extreme personalities and less of the mesmerizing character development of previous novels. This book instead, demonstrates the ills of society and how we raise our sons and daughters to know what is right and how to prioritize our passions. Not as heartwarming as I had expected, but it definitely left me thinking. Access Provo City Library on the go with the BookMyne app! Search the catalog, renew items, place holds, and much, much more. BookMyne is a free app available from both the iTunes and Google Play app stores. Looking for a great book to read or listen to? Try a Staff Pick or Audio Pick. Don't like violence, strong language or graphic scenes? Looking for a good book to read? Try our Personalized Reading Recommendation service. Fill out the online questionnaire and receive 3-5 individualized book suggestions from a Provo Librarian.